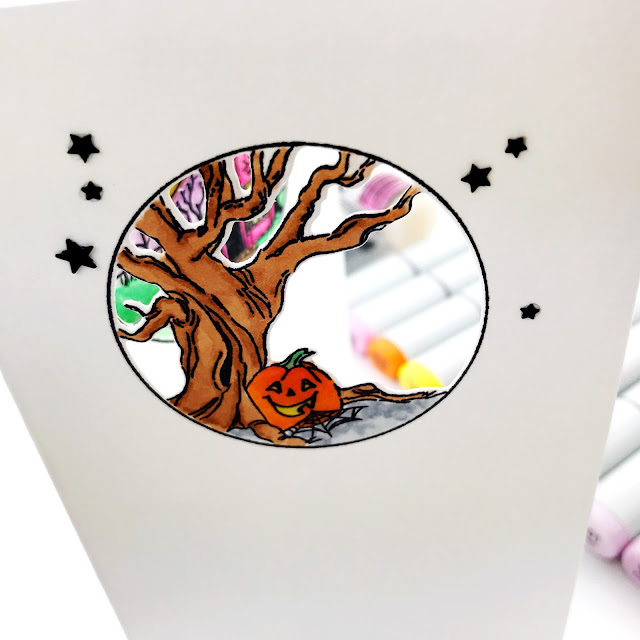 Art Impressions has an amazing new release that includes the Halloween Circlet Mini Tryfold set, which creates a cute & not so spooky Halloween card! Today we are having a little hop to introduce some of the new Art Impressions available in the Ellen Hutson shop! You should be arriving here from Laurel Beard's amazing blog! Thanks so much for stopping by! 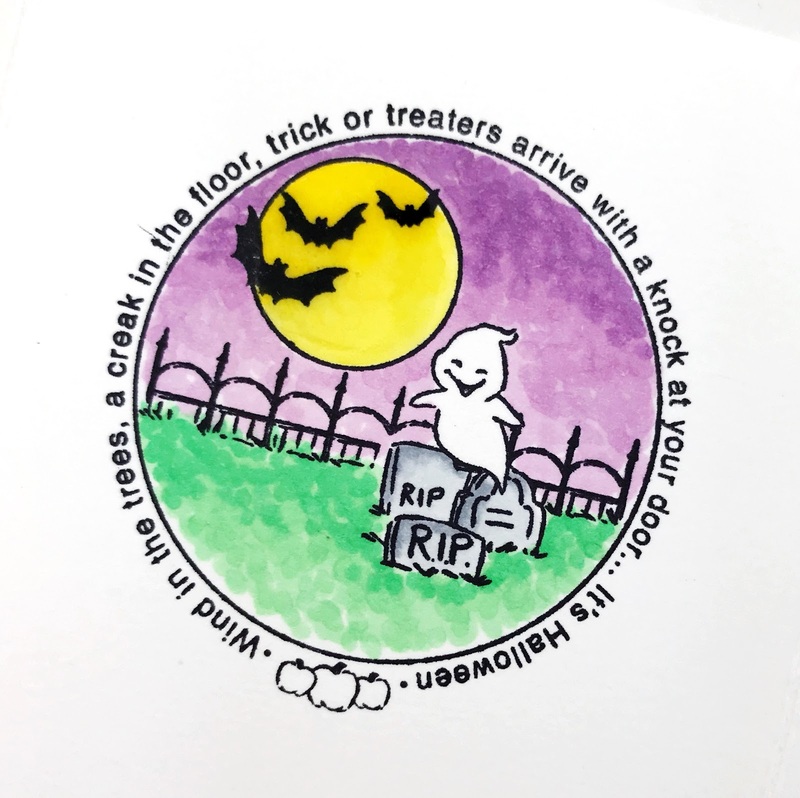 Have fun hopping on to Sandy Allnock's fantastic blog! I love the vibrant colors you used! 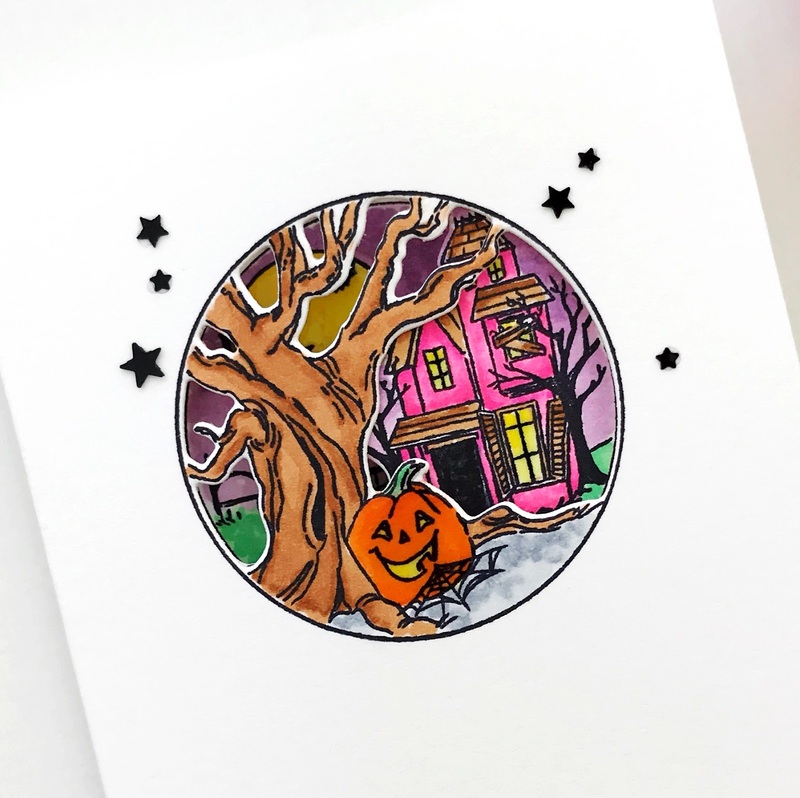 I love the unconventional hot pink haunted house, Carly! ;-) Fabulous tri-fold and you make it look so easy! Cute card!! Love the pink house! 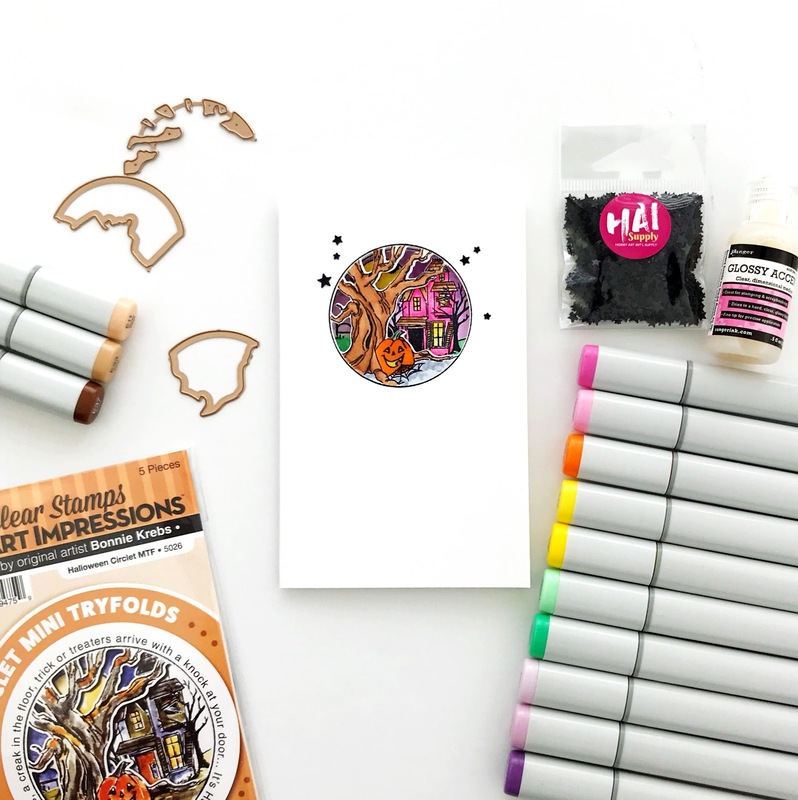 Thank you for sharing your creative process in a video. I find that very helpful. While watching your video, I thought.... Carly's way is so much easier on a Try-fold. I agree with the above comment from Sandy Allnock. You've a great creative mind. Such a fun card and stamp set! 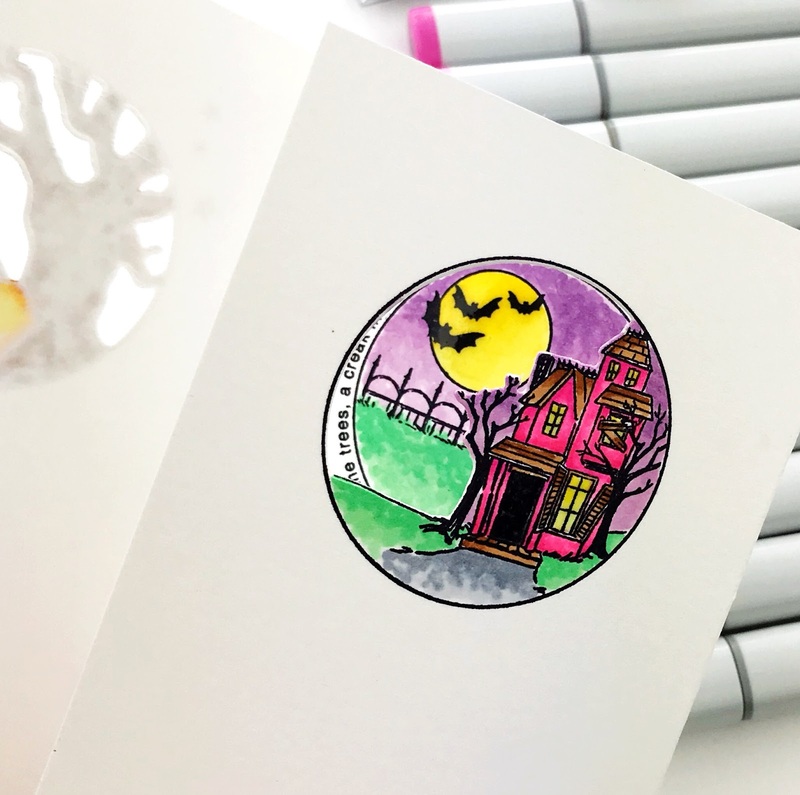 Your tip to put the stamp over the image to line it up is great--thanks! tHIS IS JUST DARLING! gREAT SET! I like you cards .